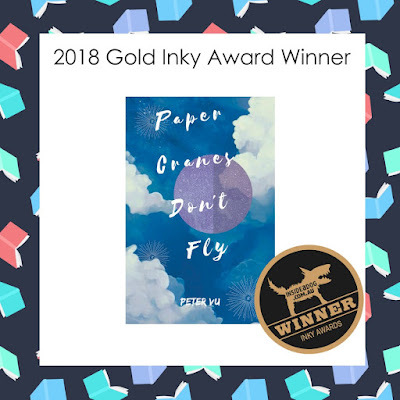 KBR congratulates 19-year-old Peter Vu for winning the 2018 Gold INKY Award for his first novel, Paper Cranes Don’t Fly. This is a great achievement for such a young person who is still a student, but it is the content of the book that made it so interesting and immediately popular with young adult readers. Peter talks to Anastasia Gonis about Paper Cranes, how it came to be, and what the INKY Award means to him. Were you always interested in becoming a writer? I had always been a big reader from a young age, so stories were something I really enjoyed. I also remember having an interest in writing short stories in primary school, which probably came from my love of reading. But it was only a hobby that didn't last very long, so I never thought I’d actually ever become a writer. What inspired/led you to write Paper Cranes…? Honestly, I had nothing else to do and I thought it would keep my mind busy otherwise I'd go crazy with boredom. After a long stay in hospital, I couldn't go back to school so I needed something to do. I rekindled my hobby of writing, deciding to write a story about something similar to what I had just experienced. People are told when wanting to write, to begin with writing what they know. Is this what you have purposely set out to do? For someone like me, who has no education or expertise in writing novels, it does make writing a lot easier. It's a lot easier to write about something when that thing feels so real to you. I'd compare it to singers/songwriters that sing about things that they've experienced, or painters who show their emotions through a canvas. Not that I know anything about music, painting, or even writing for that matter. It is not an autobiography, but being familiar with your story, there’s no question that it is as close to one as can be, especially after reading A note from Adam Auttenberg which precedes the first chapter. What was your intention by making the story into a novel instead of a biography? Similarly to writing what you know, I am an avid reader of novels, but not autobiographies. So, reading novels really helped me learn how to write one myself. Also, my life is not even close to being interesting enough to be written into a biography. What I wanted to do was take inspiration from my experiences and turn it into something compelling enough for others to read. This is not a novel with the main character aiming to win the sympathy of the reader through the sadness of his life. It is a story filled with unconditional love, acceptance and how true friendships enrich our lives, especially in times of need. Can you comment on this please? If there’s anything that I've learnt from all my years of being in and out of hospital, it's that there is always something to smile about. In the novel, Adam has learnt the same thing. And the thing that makes him smile are his friends. He doesn't know why they love him, but they just do. I think that really reflects friendships in our own lives. You may not know why or how your friends are your friends. But you do know that you’re glad that they are. The book has incredible flow and you have an impressive command of language. How easy/difficult was it to get your feelings written down through a time of challenge and turmoil in your life? It was both easy and difficult at the same time. Having already experienced those feelings and emotions only months before made it easier to know what the character would be feeling and how they would express it. What made it difficult was having to relive those emotions, when they were coming from such a dark place. For example, there is a part in the novel where Adam just wants to fall asleep because he's in so much pain, and writing scenes like that were honestly emotionally exhausting. Your characters, Adam, Ambrose and Tess, Rachel and Rose are exceptional; warm, loving and sharing. Were they easy to create? Are they based on real people; real friendships? They aren't necessarily based on real people, but they were surprisingly easy to create. I just imagined the type of friends that anyone would be happy to have and that made it a lot easier. I had some help with choosing Paper Cranes Don't Fly. It was mostly down to the creativity of the team at Ford Street Publishing, and I think it has just enough symbolism and originality in it. How long did the book take you to write and how many drafts were there? I was out of school for 2 years, and that's how long it took for me to write it. It was a long time, but like I stated earlier, I needed something to keep me busy. There wasn’t a particular number of drafts, but the editing process did take quite some time. How and who did you approach for editing/publishing? I'm lucky enough to have a friend whose father works at Lamont Books distributing books. The company knew Paul Collins from Ford Street Publishing so it was only a few degrees of separation to find a publisher. They had faith in the story and set out one of their own to edit it. You are currently still a student. What are your future plans - if any - where writing is concerned? I currently don't have any plans to write anything else just yet. I am starting University soon which will keep me busy. I don't know how writers juggle their day-to-day lives with writing, because for me, writing a book took an immense amount of time and effort for which I don't think I could've spared if I had work or school. But you never know. Another book might come about some time in the future. What does winning the INKY mean to you? Calling myself an author was still a strange concept to me up until winning the Inky award. But being an award-winning one finally made it sink in. And to win the Gold Inky, which is chosen entirely by younger readers, makes it even more special, since that is who the book is for. If the target audience enjoys your book, then I think that's all that matters. In a way, because of that, you could say that the Inky is the only award worth winning. Or maybe I'm just saying that because I won it. 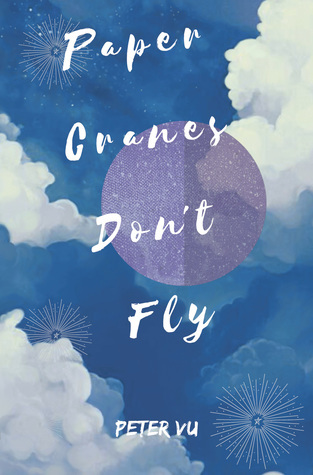 You can read Anastasia's review of Paper Cranes Don't Fly, here.